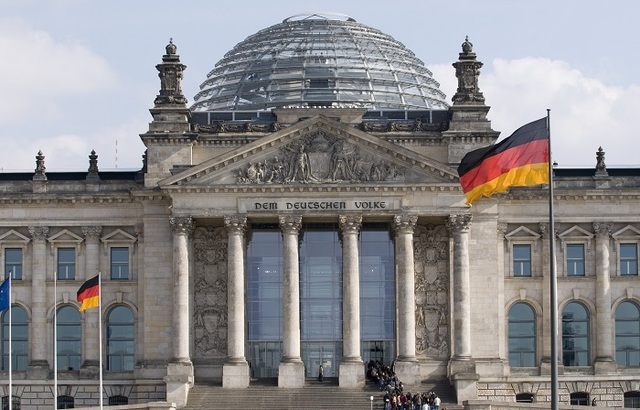 Germany and China are set to sign two agreements which could see the former become a central hub for Chinese and renminbi-denominated financial products in Europe. Both deals will be signed by the German financial market regulator Bafin. The first is with the China Banking and Insurance Regulatory Commission (CBIRC) to extend cooperation, and the second with China’s Securities Regulatory Commission (CSRC), according to a German government document seen by newswire Reuters. The deals are reportedly part of German finance minister Olaf Scholz’s plans to convince China to open up its economy for foreign businesses. During his two-day visit to Beijing, Scholz will meet Chinese vice premier Liu He for talks surrounding Sino-German cooperation. Scholz reportedly wants to use the talks to press China to further open up its economy, in particular for foreign banks and insurance companies. He also wants to push for Germany to become a central hub for Chinese and renminbi-denominated financial products in Europe. German companies have already started setting up in China. In November, International Adviser reported that Allianz has received approval from the CBIRC to form an insurance holding company in China.